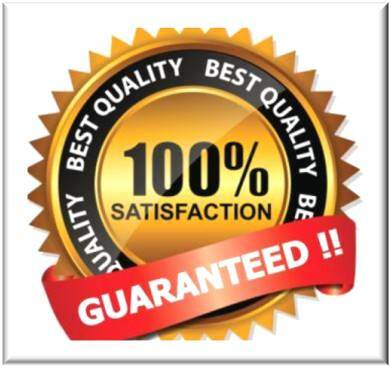 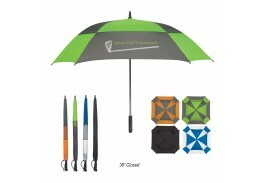 Give customers a gift they can truly appreciate! 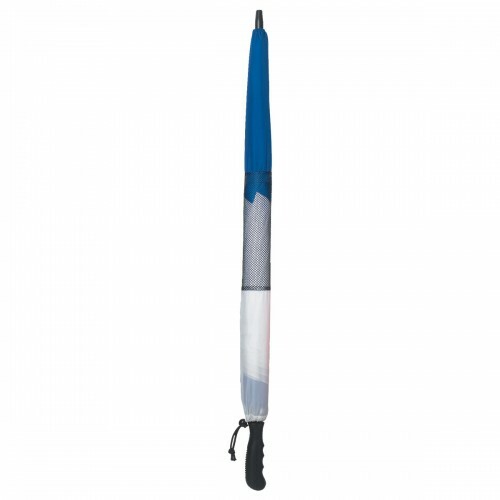 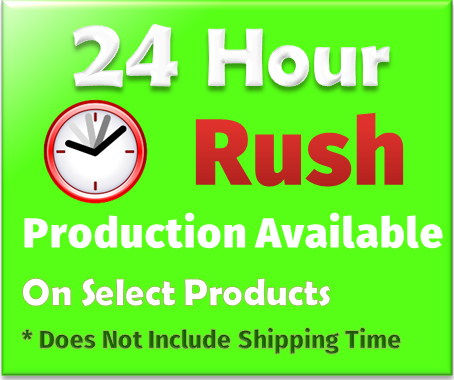 This large 60” arc automatic opening nylon promotional umbrella features a fiberglass shaft and ribs, combined with a square canopy designed to protect you from the wind and rain by preventing the umbrella from turning inside out. 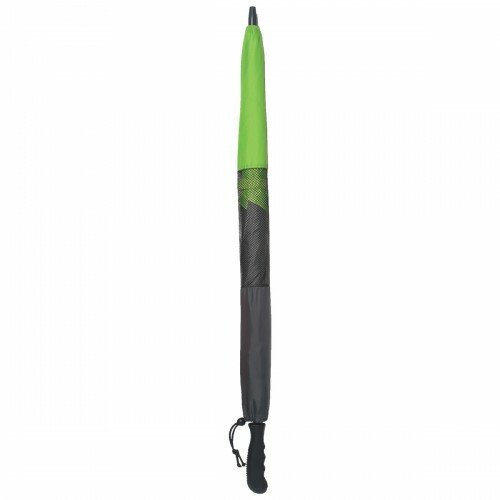 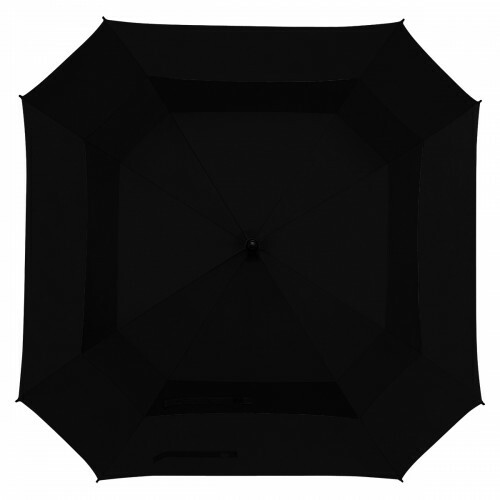 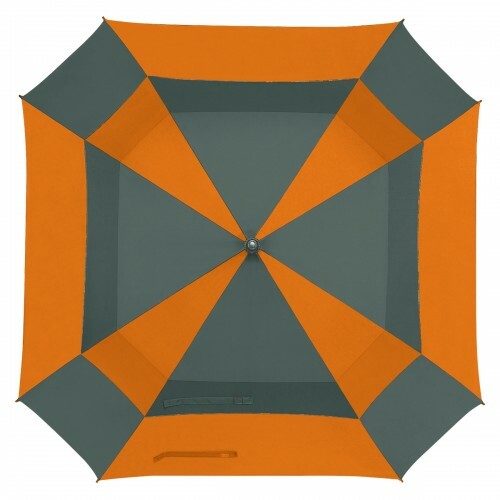 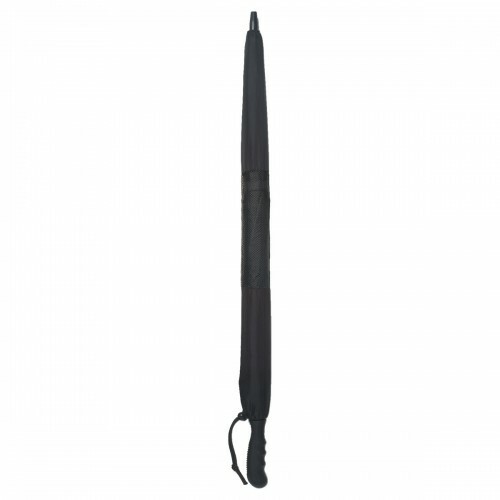 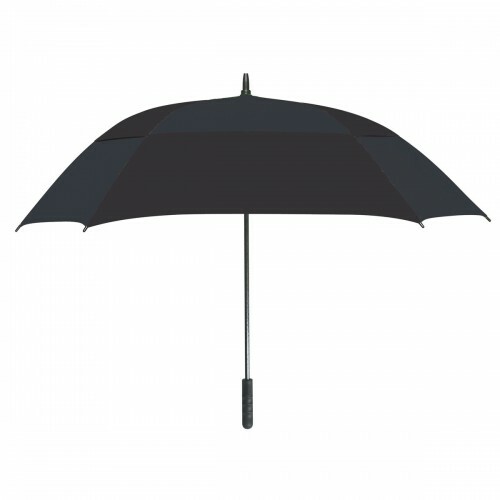 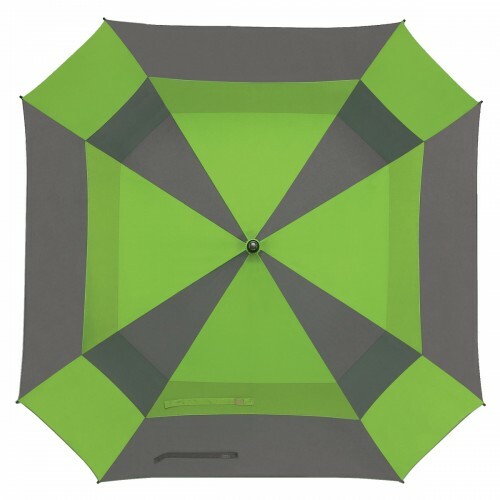 The rubberized handle provides for a comfortable hold, and the included nylon mesh case has an elastic bungee cord-lock closure to keep the umbrella secure when stored. 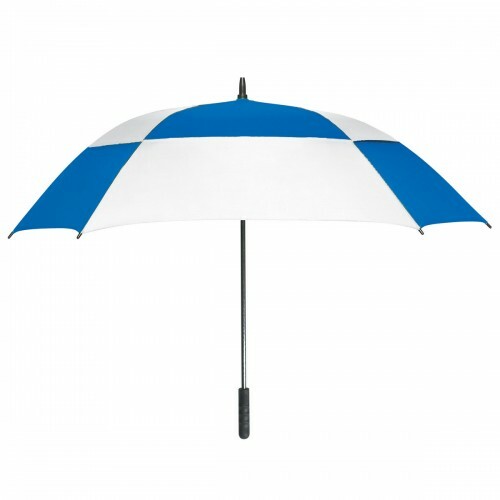 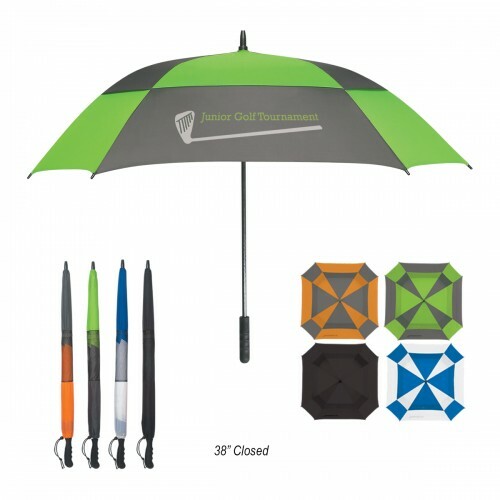 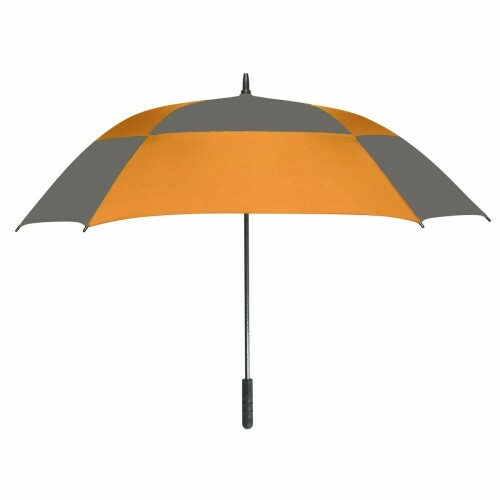 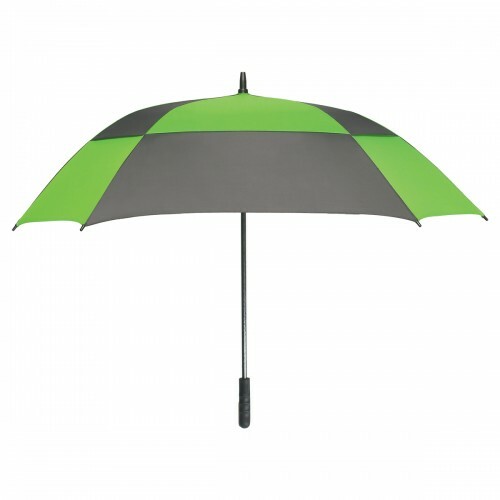 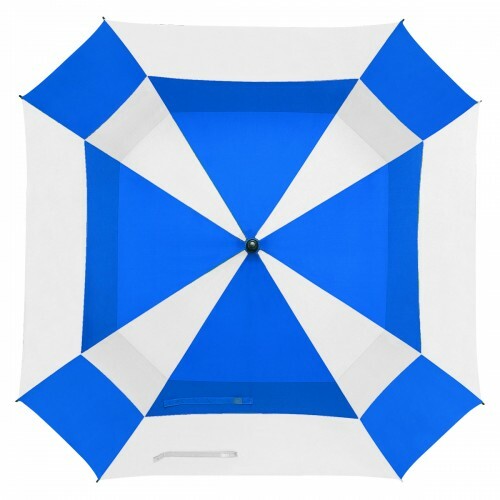 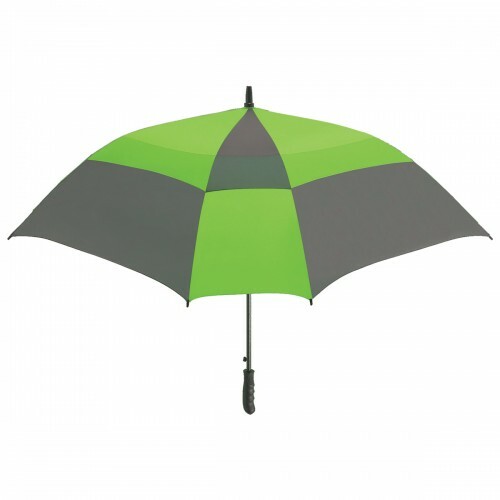 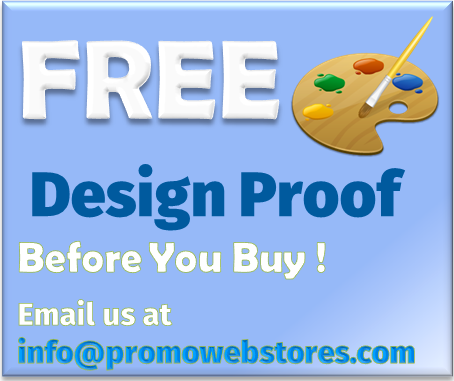 Choose a Black, Royal Blue & White, Gray & Green or Orange & Gray personalized umbrella to enhance your company logo for a stunning visual that gets you noticed!